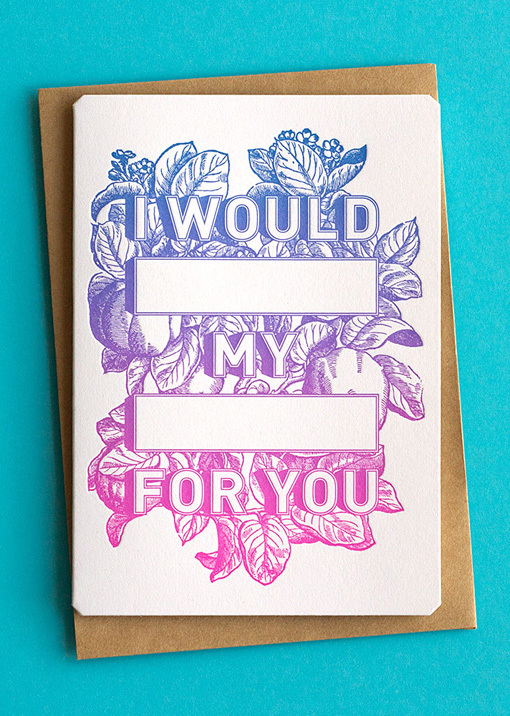 If you’re in the market for some fun Valentines to give to loved ones this year, look no further than The Hungry Workshop. 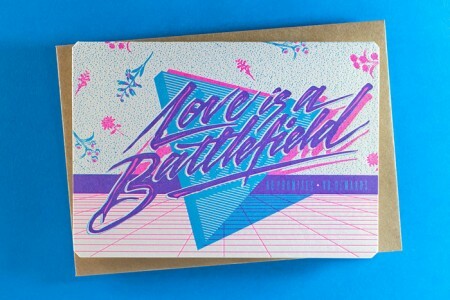 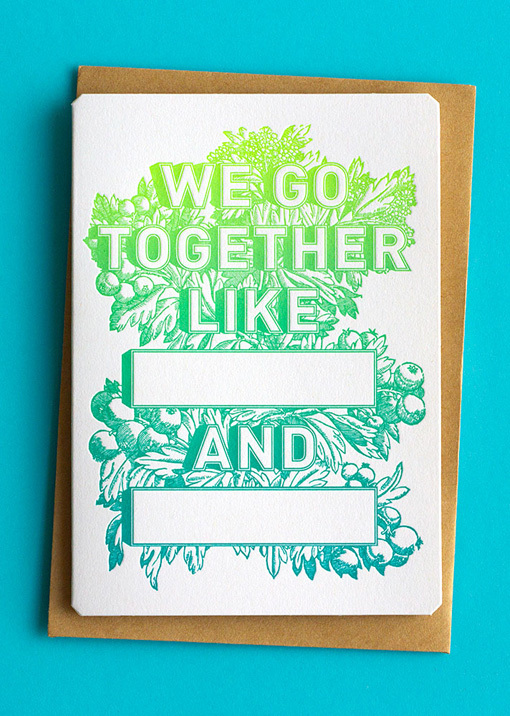 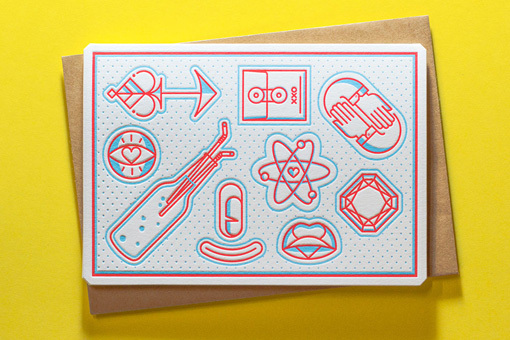 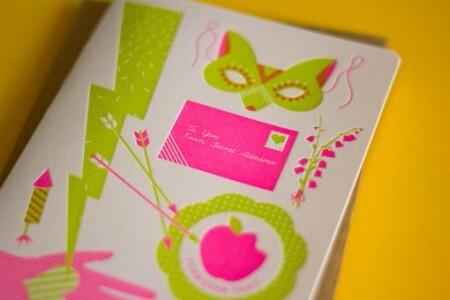 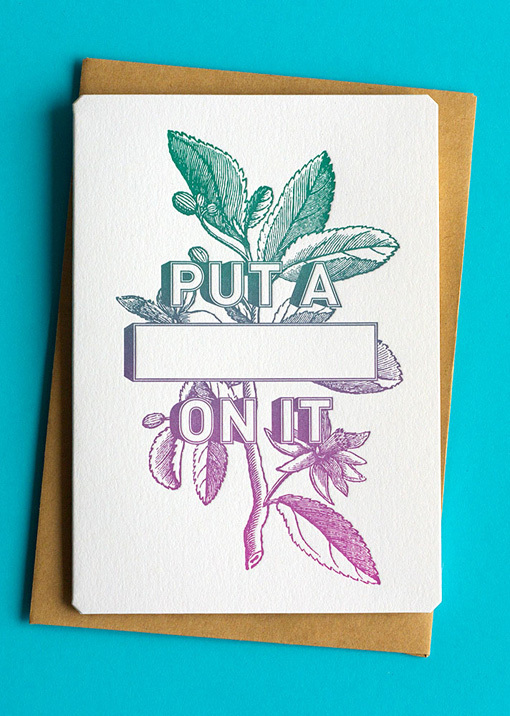 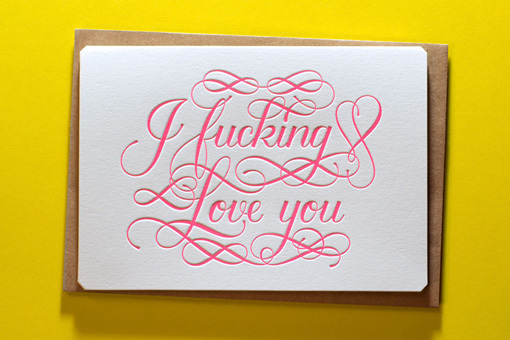 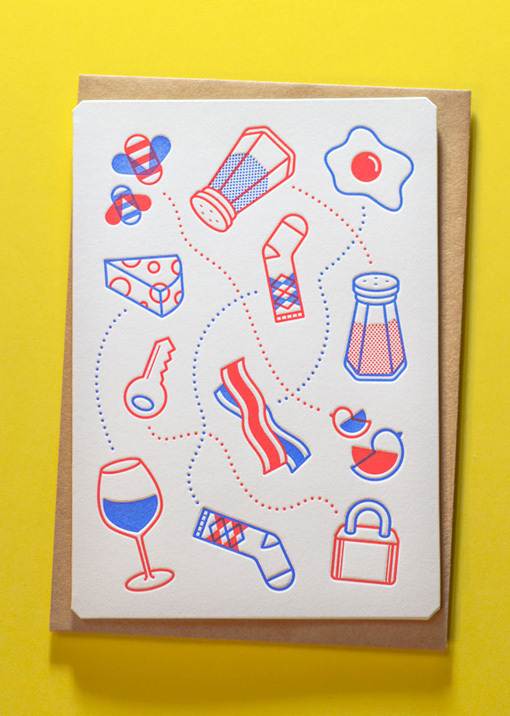 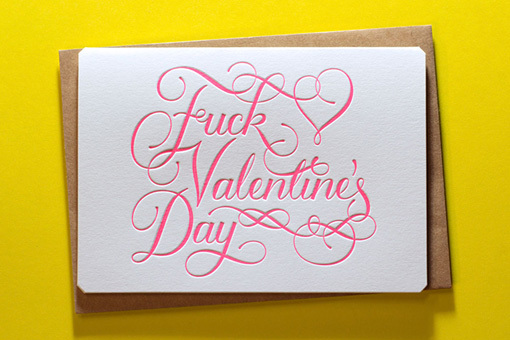 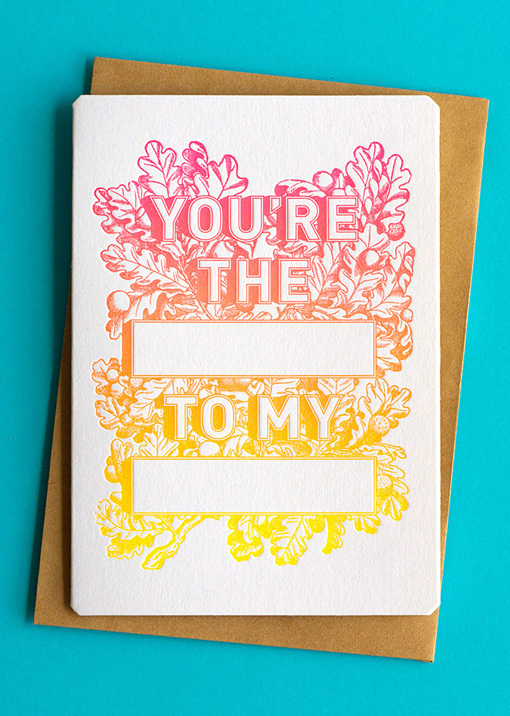 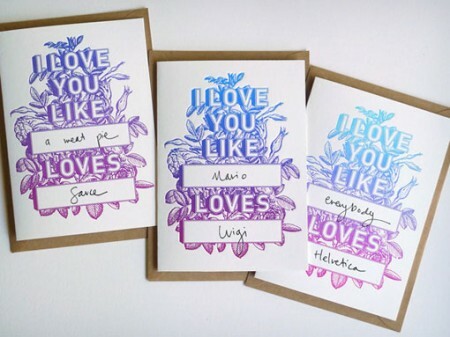 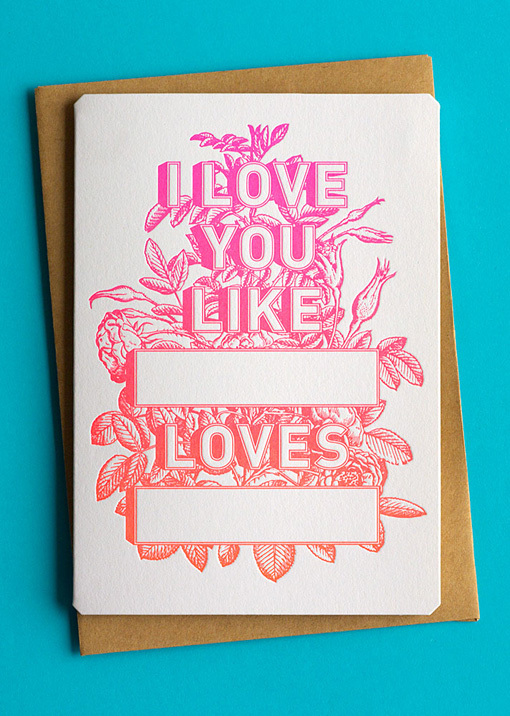 They’ve expanded their collection of letterpress Valentine cards so that there’s something for everyone, from the ever popular Blank Collection, to the edgier Calligriphuck cards, to the pair of illustrated cards designed by real-life couple Jesse Mallon and Peter Borg. 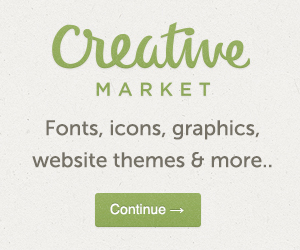 You can find all of what you see below (and more) in their shop.